At Forefront Dermatology, our team of board-certified medical, cosmetic, and surgical dermatologists offers a highly personalized approach to meeting all of your skin care needs. We are proud to serve the area, providing comprehensive care and exceptional patient experience in a convenient location. From annual skin exams to skin cancer screenings, our dermatologists and medical staff are experts in treating acne, eczema, moles, rashes, fungus, skin cancer, and more. Skin cancer is the most common type of cancer. At Forefront Dermatology, we offer free skin cancer screenings and a number of treatment options, including Mohs surgery, and more. *We accept most major insurance carriers. 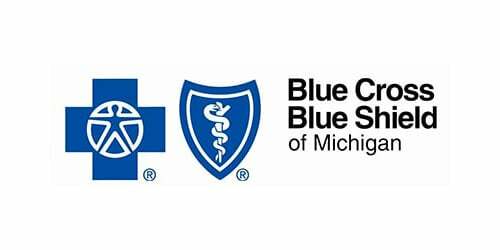 If you do not see your carrier, please contact our office at (517) 203-3000 or contact your carrier to confirm the network status of our practice. This is a great practice. Friendly staff, prompt appointments, expert medical knowledge, and a willing attitude to problem solve. I am very pleased with the care I have been given at Forefront Dermatology. Everyone that I have met there is very professional and caring. Forefront's mission is to be the skin care specialist of choice in every community we serve. Each Forefront physician brings extensive expertise to the practice, and employs the latest, most innovative technologies and techniques possible. Whether you're suffering from acne, or need a skin cancer exam, you know you're getting the best care possible. That's our promise to every Forefront patient. *Hours are subject to change, please call to confirm.